What Are Pull Up Banners Made Of? When businesses are investing money into a product, they expect the best quality possible. Pull up banners, albeit a low-cost marketing tool should be no different. With regards to event and exhibition stand solutions, this often means people expect to purchase a product and use it several times without it getting damaged or losing its impact through wear and tear. Exhibiting at an event is a costly process by nature, meaning any savings a company can make – namely on their display solutions – are more than welcome. The only way to save money and keep costs low is to invest in a high-quality product made from premium materials and purchased from a supplier you can trust. All too often, businesses invest their marketing budget into exhibition stand suppliers who use nothing more than cheap imports with no quality control in place, resulting in lots of damage, breakage and replacements. Pull up banners are one of the most common event and exhibition stand solutions, meaning they are mass produced consistently and corners are more often than not cut in order to save money during production. Here at XL Displays, we manufacture all of our pull up banners in-house and utilise a strict quality control procedure to ensure that what our customers receive is nothing less than perfect. Part of our quality control involves a test-build. Every product is built and inspected before being signed off and shipped out. An essential ingredient for any roller banner passing the test-build process comes down to the materials being good enough. Nothing that is damaged, scratched, cracked, unstable or low-quality passes the inspection – but we know that these issues won’t be a problem when the best materials are used. All of our pull up banner hardware is made in the UK and comes directly from Ultima. The fact it is manufactured in the UK reduces the risk of it being damaged whilst travelling across the globe from a different country. The base and poles are made from durable, high-grade, lightweight aluminium which is then anodised to give a smooth, sleek finish. We supply a padded carry bag with each banner to keep all of the hardware safe during transportation. In addition, all of our pull up banners come with either a one year, two years, five years or lifetime guarantee on the hardware – allowing you to get an instant replacement should the worst happen. 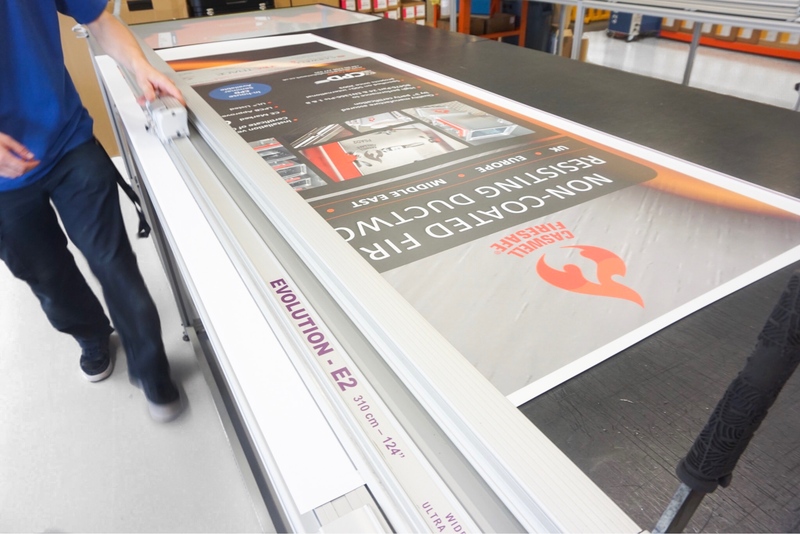 We print all of the graphic panels for pull up banners in-house to a 1440 DPI – allowing for maximum quality and sharpness. As well as providing us with more control over the product, this also allows us to keep our costs to a minimum, resulting in our customers paying less for their roll up banners. We use state-of-the-art technology to print solvent-free, pigment-based ink onto 305 micron-thick, PVC-free, polyester stoplight banner media. We then laminate each panel with a crystal matte laminate to ensure they won’t scratch, tear or peel. This allows you to get years of use out of your investment. 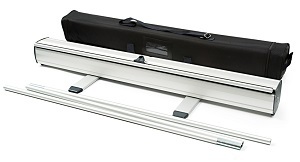 With such simple components, assembling a pull up banner is effortless. The printed graphics easily retracts into the slimline base, meaning it is protected from any kind of damage that may be incurred during transportation or storage in between events. The lightweight upright pole simply slots into the hole in the base, and the graphic is then pulled out and attached to the top of the pole. This results in a taut and tensioned display that is perfect to showcase your brand and your message at high footfall events. Regardless of the type of pull up banner you invest in, the general assembly will always be easy and take less than two minutes. At XL Displays, we offer a comprehensive range of pull up banners, perfect for every brand and every event. Our bestselling pull up banner is the entry level Grasshopper banner. It offers superb value for money and is suitable for use several times a year. It comes in a choice of five widths, offering you a solution to every sized space and every marketing campaign message you can think of. The Grasshopper banner is also available as part of value packs, meaning you can get multiple banners at a discounted price. If you want to enhance your brand promotion from all angles, then the Excaliber 2 double sided puller banner is a go-to option. You can choose from six widths, allowing you to find the perfect display solution every time. We know that exhibiting can be a costly process, but we also know it can have a huge pay off for your business. 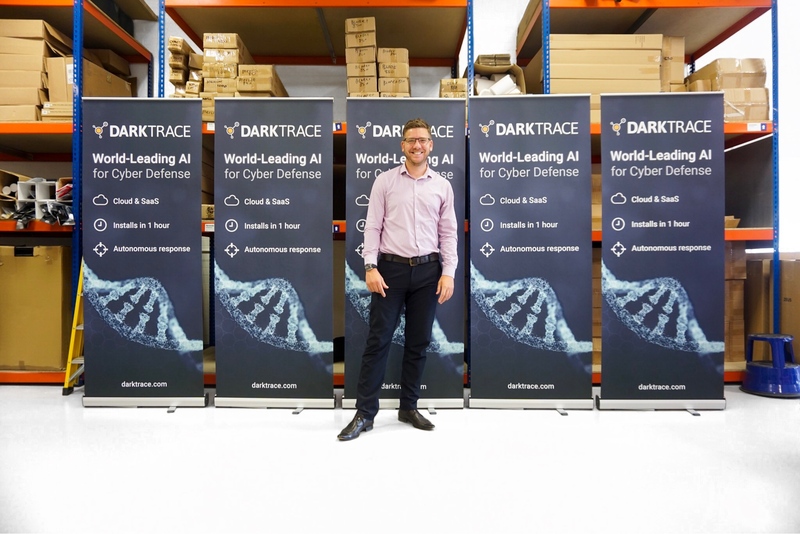 If your company attends several events a year, investing in a replaceable cassette banner is the most efficient way to promote your brand without spending a fortune. Replaceable cassettes allow you to swap out your existing graphics for new ones; a much cheaper solution than buying an entirely new banner stand each time. We offer so many pull up banner stands, each one with its own features and benefits. To find out more about our banner stands and the quality of them, get in touch with one of our sales team on 01733 511030.